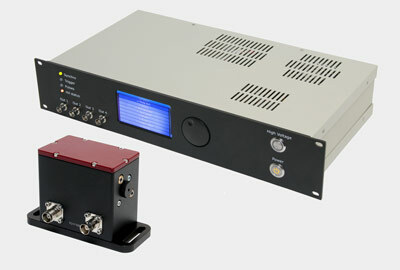 Multipurpose titanium-sapphire ultrafast laser system. Combines short pulse duration and rather broad tuning range. 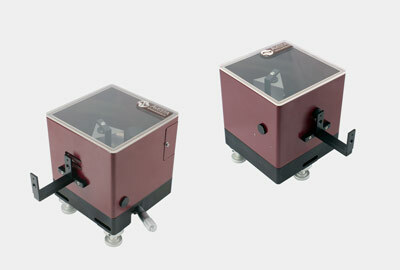 * - It is possible to combine both ranges in a single laser system, please enquire for details. 4) - please select one of the packages for your system; certain features may be tailored or combined differently according to specific customer requirements. 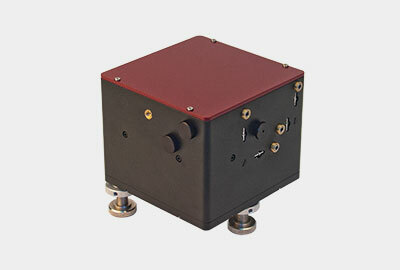 The TiF-50 laser system offers a balanced approach: less than 50-fs pulse duration over a broad tuning range. The unit is a flexible tool suitable for numerous applications and can really be a workhorse for many different projects going on simultaneously. 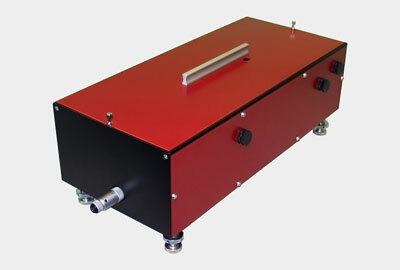 The system can be supplied as a stand-alone version for pumping with an external pump laser or as a version with an industry-standard pump laser intergated on site or at our factory. 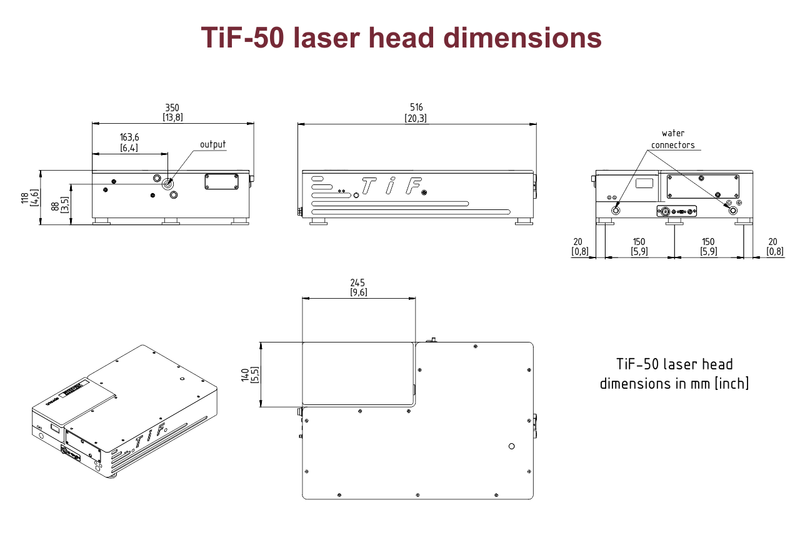 However, the dimensions of the Ti:S laser head are the same for either version, the stand-alone version may later be fitted with an integrated pump laser at minimum additional cost. 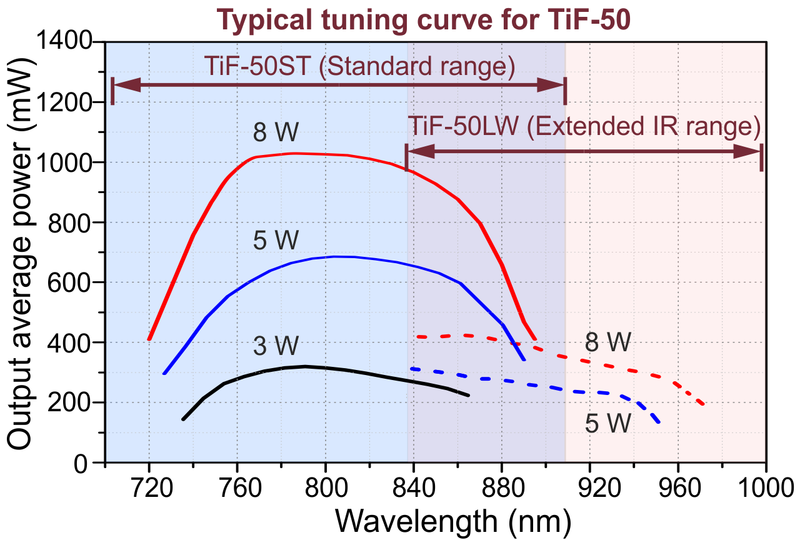 The acceptable pump laser power for the TiF-50 is up to 8 W. See tuning curves for output power vs. wavelength dependence. - the 'Manual' package includes a push-button non-automatic electric starter and allows manual tuning of the wavelength and pulse duration setting by using micrometer screws placed on the walls of the laser box. - the 'Basic' factory package includes a simple USB motorized wavelength tuning slit and a push-button non-automatic electric starter. 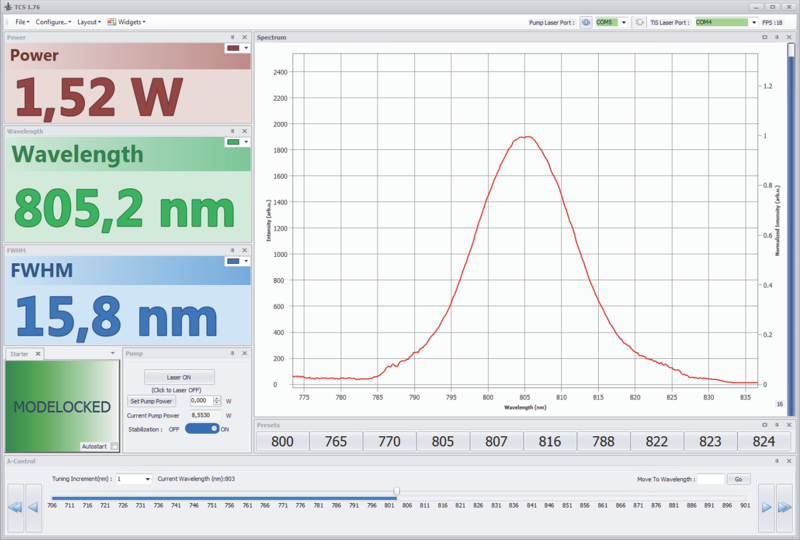 Wavelength tuning and calibration with this package is done via step number information in basic Windows software. - the 'Auto' factory package includes built-in spectrometer and power meter, single-touch wavelength tuning with presets, configurable widget software, active power lock function and automatic mode-lock start and monitoring. With this package the system boasts exceptional long-term stability and longer uninterrupted runtime. The system can also be equipped with an optional birefringent filter and optional etalons providing narrowband tunable CW regime over the whole tuning range. An external prism pair or a tunable pulse compressor (the APC Kit or APC Pro units) for dispersion pre-compensation is also available. The monolithic thermostabilized body of the TiF-50 provides excellent passive stability of the output radiation parameters. Scanning real-time autocorrelators with fast delay line facilitate pulse duration measurement of various ultrafast laser oscillators and high-repetition-rate amplifiers. 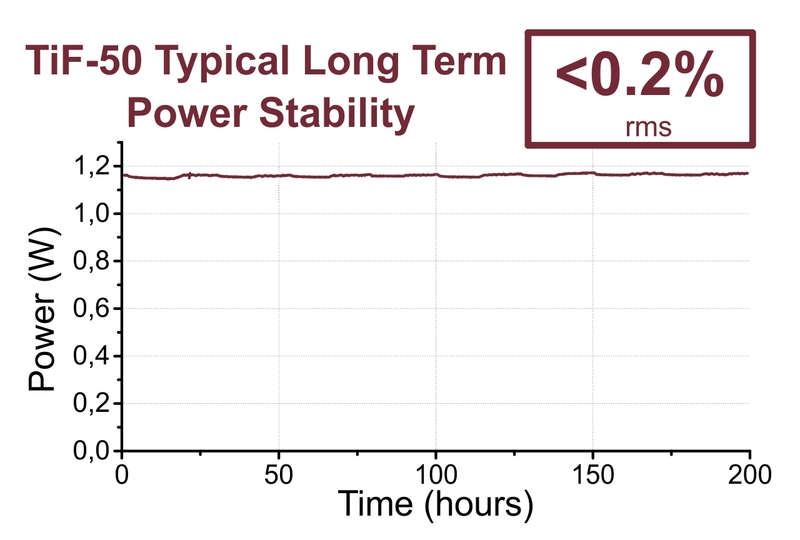 Scanning interferometric autocorrelator with a fast delay line is designed for usage in multiphoton microscopy applications. 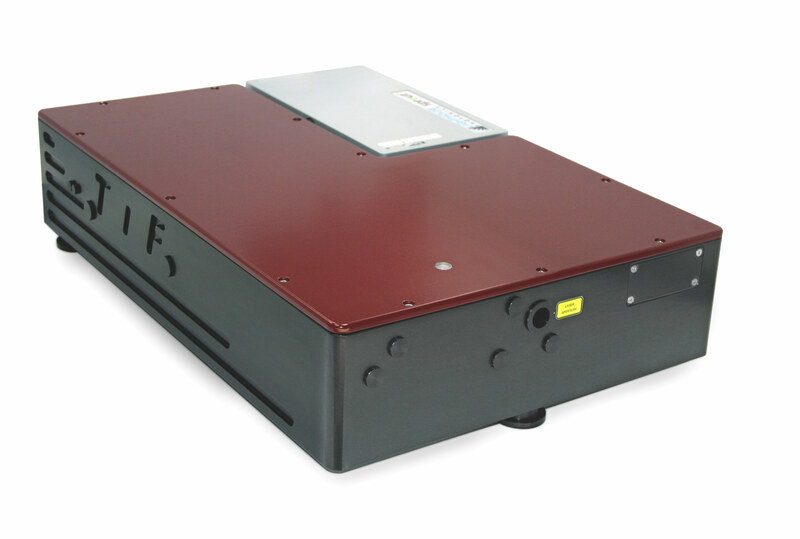 The unit is equipped with both internal and external photodetector units and is capable of pulse duration measurement at sample position. 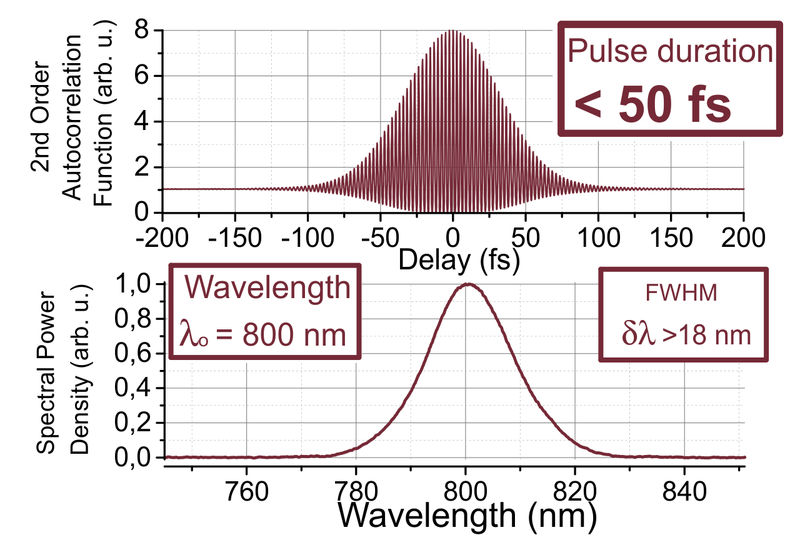 Prism dispersion compensator provides extensive control over the duration of femtosecond optical pulses by introducing user-defined amount of second-order group velocity dispersion (GVD) into the optical scheme. Second and third harmonic (SH and TH) generators are used for conversion of femtosecond laser radiation by doubling and tripling of its optical frequency. 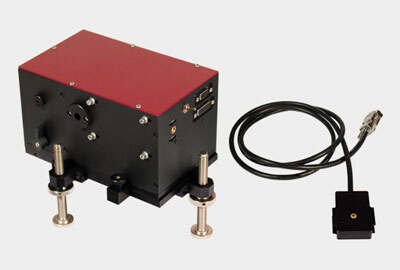 Electro-optic pulse picker systems with fixed gate open time are used to select single pulses from a train of femtosecond pulses for numerous applications. The systems are also used for injection/ejection purposes in an ultrafast laser amplifier system, as well as for amplifier contrast improvement.